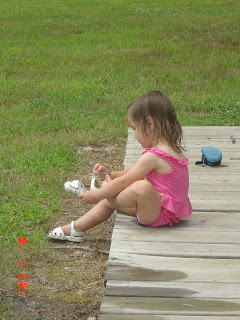 We have been enjoying the outdoors at our house. 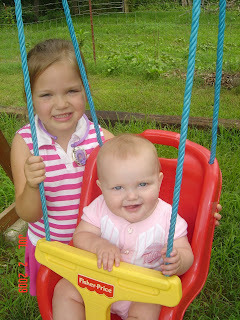 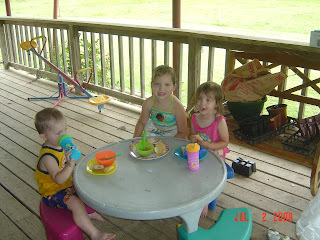 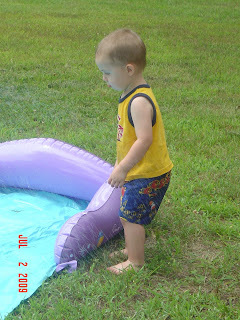 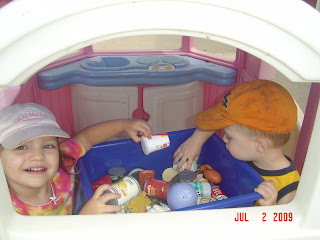 Here are some pics of the kids playing and also some of our garden. 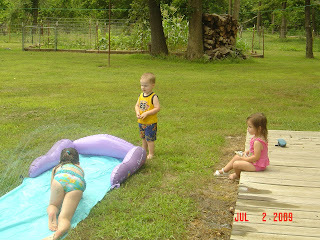 Hope going down the sprinkler slide...Grace and Nolan not too crazy about it as you can tell! 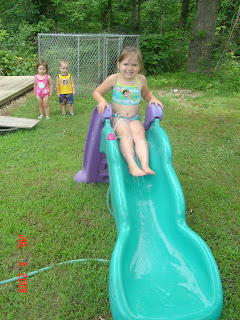 Slip and Slide...again Hope was the only participant! 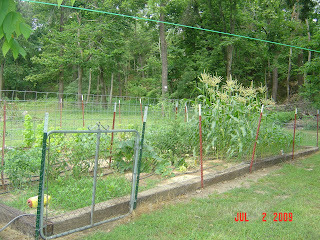 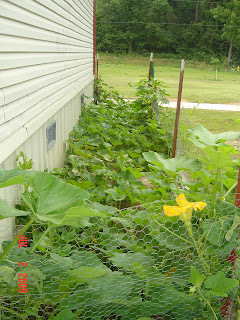 Our cucumber and squash garden that has gone CRAZY! 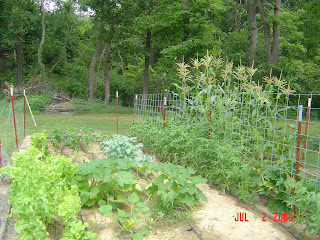 Now just waiting on the veggies!